Recover deleted SMS/text messages and easily view SIM card data such as the phonebook, most recent calls, and most recent texts. 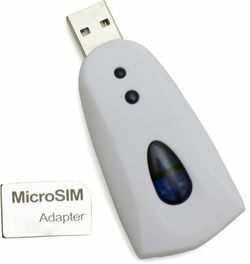 The SIM Recovery Pro 2 makes analyzing a SIM card for information quick and easy. The SIM Recovery Pro 2 includes the software as well as a Forensic SIM Card Reader as well as a Nano SIM adapter so you can recovery data from the newest generation of small SIM cards. Due to the nature of electronic data storage, it may not be possible to recover all data. Most smartphone models store very little data on the SIM card itself.